Since PwC’s first report on the China semiconductor market, China moved from the smallest of the regional semiconductor consumption market with 18.5% share in 2003, to the largest by 2005 with 24.8% share. 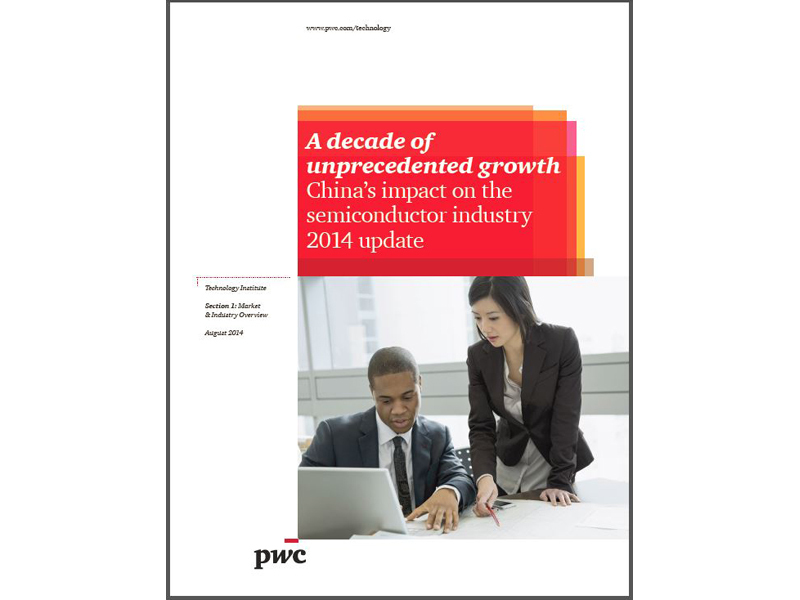 Since 2005, China increased its semiconductor leadership position every year except 2010. Semiconductor consumption concentrates: During 2013, China’s semiconductor consumption focused on the communications and data processing application sectors while becoming slightly less concentrated in the consumer area, less concentrated in the auto sector and significantly less concentrated in the industrial/medical/other and military/aerospace sectors. China’s integrated circuit (IC) consumption and production gap continues to widen: China continues to experience a significant disparity between its IC consumption and IC production with the gap growing from $20.8 billion in 2003 to $108.2 billion in 2013. China’s reported 2013 semiconductor industry continued to outpace both China semiconductor consumption and worldwide consumption market growth rates. China’s semiconductor industry grew by 16.7%, reaching US$65.8 billion in 2013. For eight of the past ten years, China’s semiconductor industry has grown at an equal or greater rate than its semiconductor consumption market. The overall performance of China’s IC industry (collectively including IC design, IC wafer manufacturing and IC packaging and testing) was a compelling influence on China’s overall semiconductor industry growth in 2013. "China’s expansive semiconductor consumption market has far exceeded expectations,” said Jianbin Gao, PwC China’s Technology Leader. “As the market shifts and evolves, there may be some moderation. But overall, with various factors such as Chinese companies emerging as a larger part of this market, we expect growth to continue for the next several years." *Almost three percentage points of the 10.1% increase was the result of China’s continuing revaluation of the Renminbi (RMB). Measured in local RMB currency, China’s semiconductor consumption market grew by 7.3% in 2013. 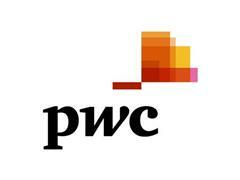 For copies of the report or to schedule interviews, please contact Alayna Francis at Alayna.Francis@us.pwc.com. As we did in 2012, for this year’s Update we have elected to release our China semiconductor Update in three sections in order to provide information as early as possible. Please note that all of the considerations described in our 2012 Update appendix, “Interpreting Chinese semiconductor statistics” and the “About this report” section remain relevant to this update and should be referred to as needed. The appendix, as well as all of our previously issued reports, can be found at www.pwc.com/chinasemicon .